There is a saying, if you love what you do, you will never work a day in your life. 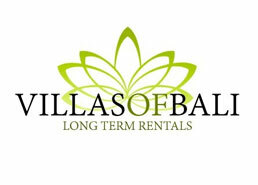 This couldn’t be more true than for our next Faces of Bali, 7 faces actually. 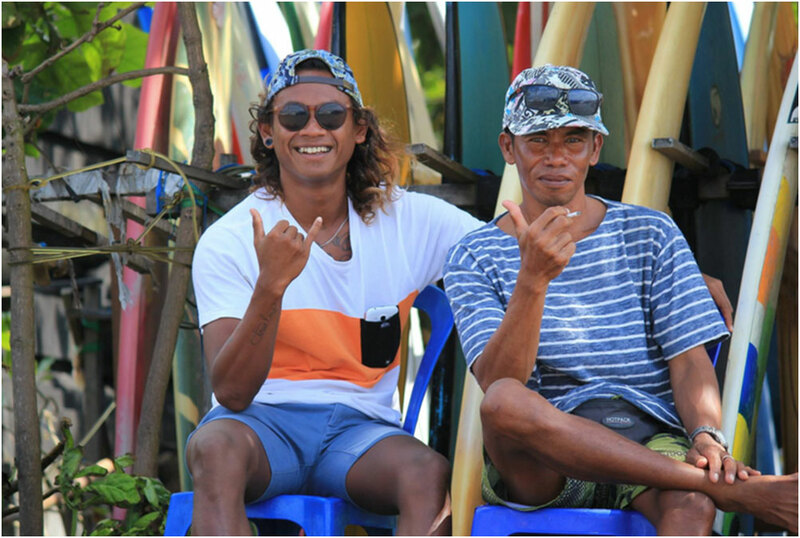 If you live in Bali or have ever visited Batu Bolong Beach, you know who our next Faces are….. the sun kissed, masters of the board and shamans of the sea, the Batu Bolong Surf School and Board Rental crew, the true board riders of Canggu. 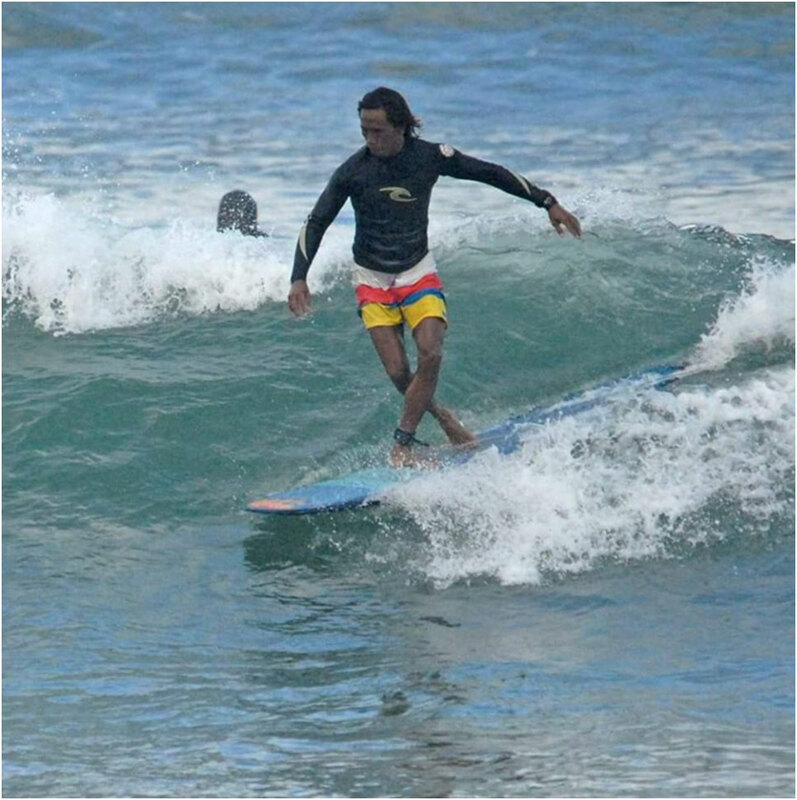 They’re born and raised in Canggu and live and die by surf. 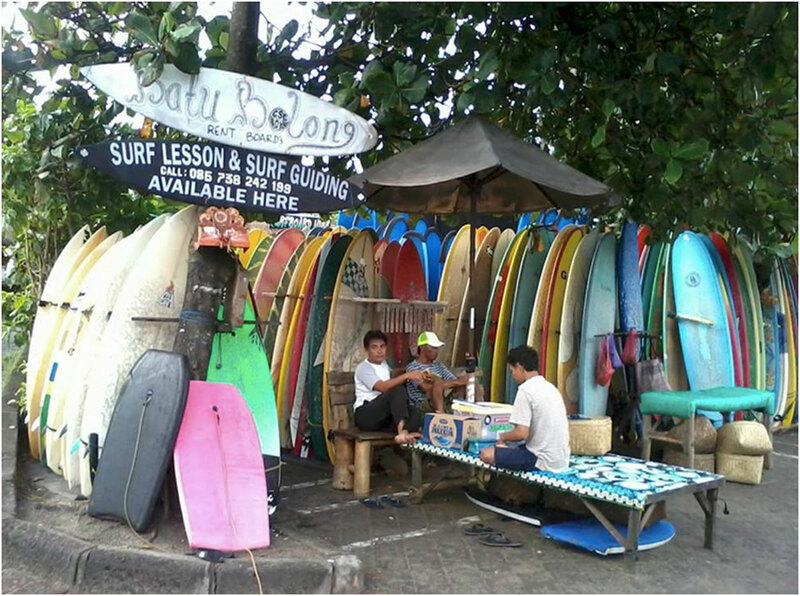 If you need a board or a bit of surf instruction, they are one of the on the spot go to’s. They were here before the community changed and have been part of its development ever sense. 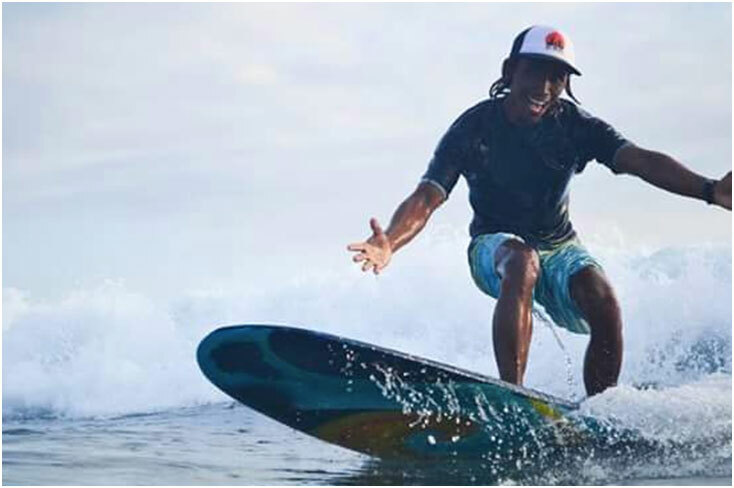 We spoke to them about Canggu, Surf, and how the community is evolving. Grab those boards and let’s start surfing! No, but we’d die without it. What age did you start to surf? Collectively they were between 11 and 17. All first generation surfers. With that said, some of them have been surfing for 25, 30 years. That means almost everyday since starting! Did you have your own board(s)? No. It wasn’t easy to find a board. We’d either borrowed a board from some one on a surf trip or find one that was left behind. It was like five people to one board! What were the boards like? Not like they are today.. Lol.. It would break. We’d fix it. They could break so many times. It was crazy….we’d fix them. We didn’t care, we just wanted to surf. Some times we just surf on foam! lol.. It as mad. How did you learn to surf? We’re all self taught. We just did it on our own. We gained experience through our own effort. Trial and error. No! But we were determined. It looked so fun. We were all scraped and cut up at some point! Where did you start to surf? Right here at Batu Bolong. Then we’d move to Echo as we got better. 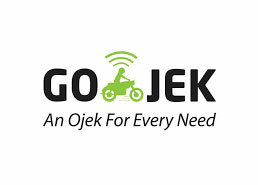 Echo!…because it’s a fast, short wave but if the waves are good, Batu Bolong too. It’s a different wave, small and long. When the wind is off shore. Morning is good for that, plus there are fewer people out in the water then too! We have everything in Bali. We don’t need to go anywhere else. Maybe Lombok if i had to choose something other, but there are great waves all over the Island (Bali). It depends upon waves. We surf everything. What did you do before you surfed? Swam and played in the water; a lot of body surfing. The water wasn’t Taboo. We live with the sea. 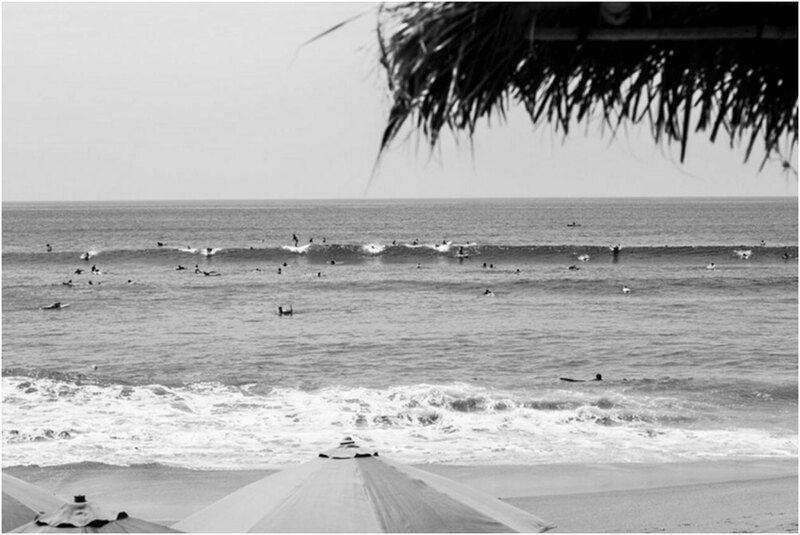 Has Canggu changed by surf? The waves are the same. The people are the same. Just more of them. Which is good for business. When did Batu Bolong start to change? About seven years ago. It started to get busy five years ago. Australians, Japanese, Americans came first. Now the Europeans are here. The world is surfing. When did you start teaching? Seven years ago. Back then we just brought people out and taught them what we knew. Now that’s changed. It’s all about technique and the true art of instruction. When did you open up shop? What would you have been if you hadn’t started teaching surf? A Fisherman. Lobster is the catch. Their mother’s and father’s are fishermen. Susan, one of the instructors, still has his boat and takes it out when he can. When the tide is low or the catch good, some of them still fish in between surf sessions. They’re born to the water! ( a collective laugh).. We’re richer. What does surfing do for you? What do your mother’s think about you surfing? Does you family support you surfing? We work with our family, cousins, brothers, uncles. So, yes. 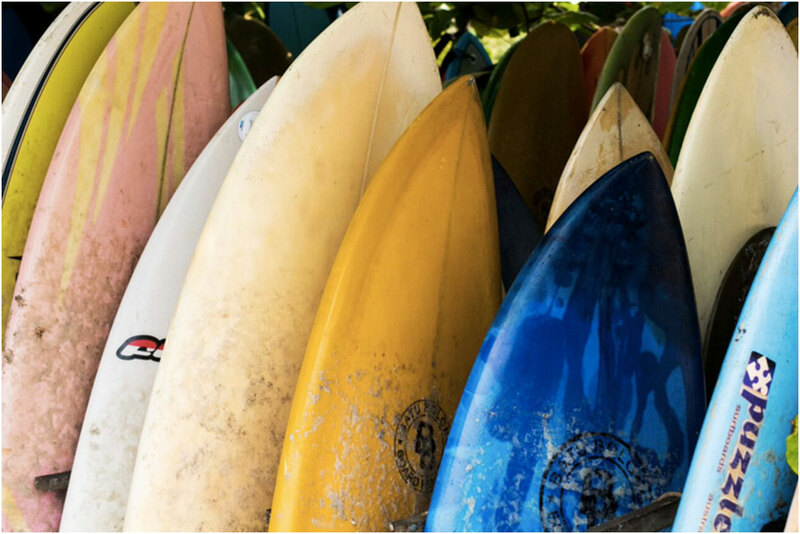 The older generations support us because they see how surf has developed the community for the better and see how it will continue to benefit it. What’s the best thing about being an instructor? The satisfaction that comes with seeing someone learn something new. That’s better then money. You don’t need money in your life to be rich. Plus, it’s great to be able to turn a hobby into a job. What do you tell a beginner who’s just learning? Every wave is different. Keep on trying and have fun! No, Its just depends on finding the right board. Yes, but if you don’t want to, it’s hard to motivate someone. You need the determination. You either have it or don’t. What is the one thing you absolutely need to know to Surf? What do you want to be in your next life? For better or worse, hopefully still here. There are more possibilities for the next generations.. so bright. Can you read the waves with your eyes closed?